1. 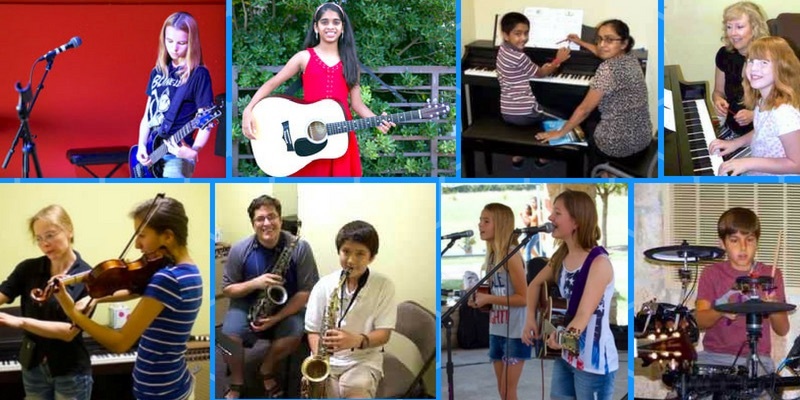 Lessons in piano, guitar, voice, drums, saxophone, cello, violin, viola, flute, trumpet, banjo, mandolin, ukulele, and bass all in one location in Round Rock. That saves parents time!!! 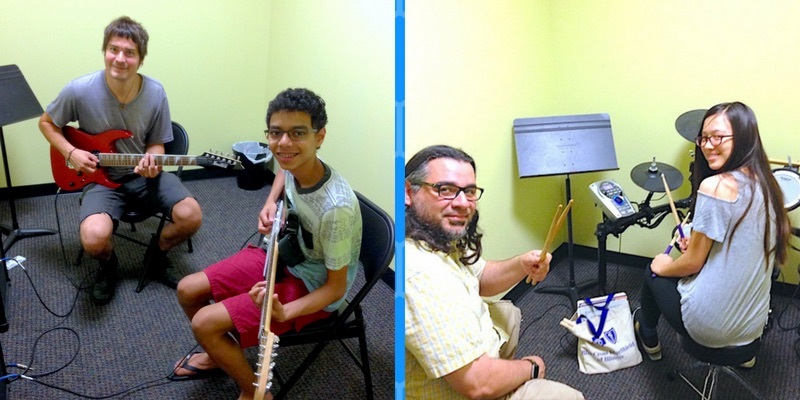 Your family can take lessons on multiple instruments all in the same day. Other studios offer multiple instruments, but we are the only one to offer all of the most popular instruments in a high quality, convenient environment. We welcome all levels and ages, from beginners on up! 2. Qualified and dedicated teaching staff! 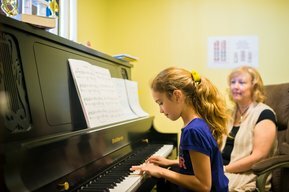 We have a large faculty of music teachers with either University degrees or many years of professional teaching and performing experience. 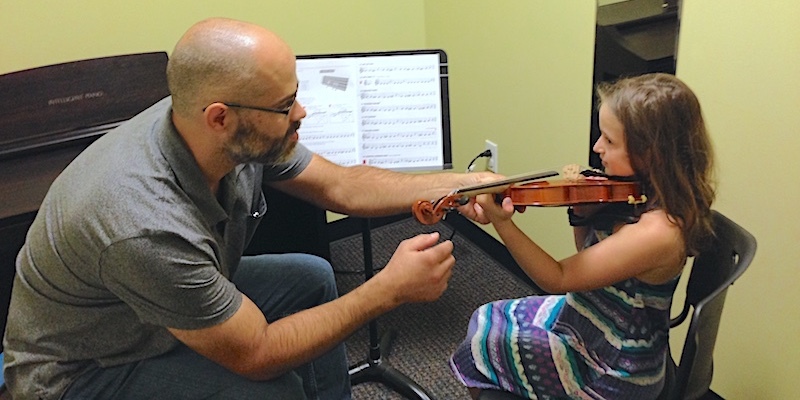 Our music teachers are dedicated to learning about your personal goals and helping you achieve them. Our teachers are selected for their expertise and friendly, nurturing personalities. With over 15 teachers in all the major instruments, we are sure we have the right teacher for you! 3. A Proven track record of music lesson excellence since 2013. 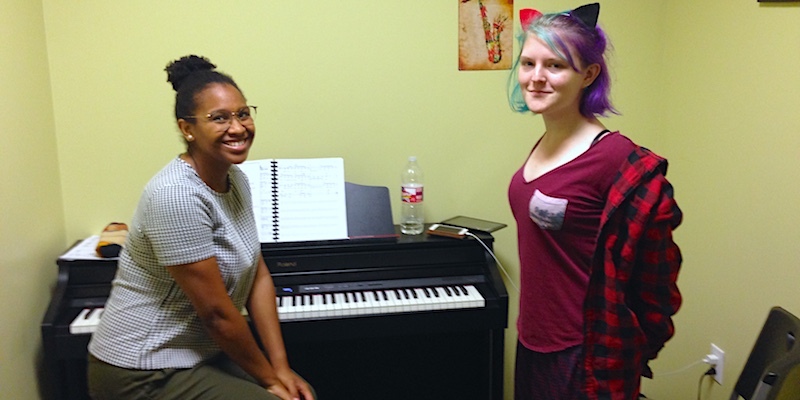 For over 5 years, hundreds of students have chosen to call Premier Music Academy their home! Our students have won awards and participated in many performance events such as the Brushy Creek talent show and Guild Piano Auditions. 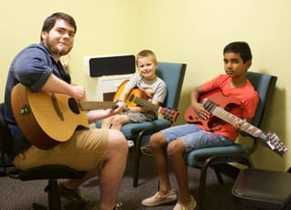 Our full time mission is to provide you with music lessons that inspire, educate and and keep you motivated to play. 4. Music recitals in our beautiful State-Of-The-Art Performance Center. Our beautiful Performance Center that seats 100+ comfortably, includes a full sound and lighting system and is perfect for everything from elegant recitals to rockin’ concerts. We are the only school that has performance rehearsals for students to prepare a student with confidence for a recital on the big stage. We offer optional recital performances twice a year at Christmas and in the Spring. Performance opportunities also include our group classes, several live rock shows, and additional opportunities to perform around town. 5. Rock Band and Girls Rock! Group classes are a great way to get started with lessons without a lot of investment in musical equipment for the parent. 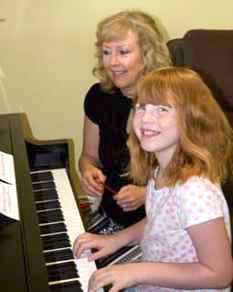 Is your child wanting to take lessons but you’re not sure which instrument is best? 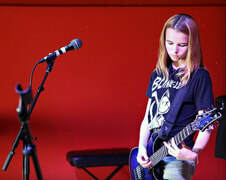 Then you can easily take a session of Girls Rock and reap the benefits of early music lessons for an affordable tuition rate. Our Rock Band programs are a great opportunity to further educate and challenge students. 6. No Contracts! Lessons are Month-to-Month. 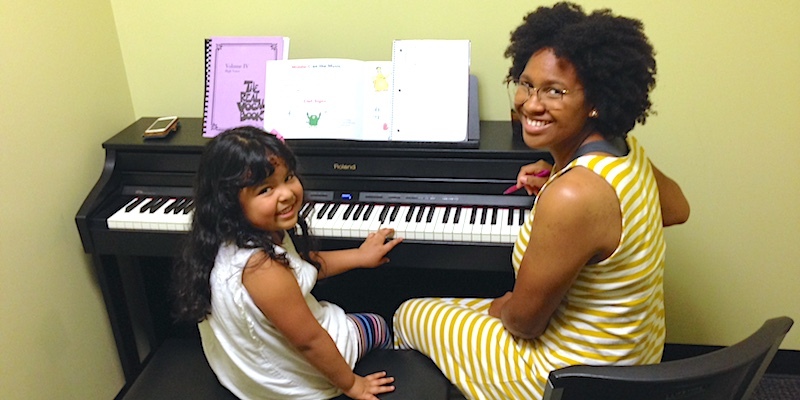 You can join us for music lessons at any time, and many of our students choose to stay with us for years! There are no contracts to worry about and lessons are month-to-month. 7. Trophies, Certificates and Awards to Celebrate Achievement. 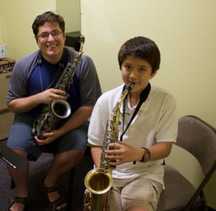 We offer special programs you won’t find at other schools to celebrate musical accomplishments. You get awards for musical achievements such as learning all the notes on the staff, composing a song, memorizing several pieces for a performance, learning all the scales, sight reading and so many more opportunities for musical progressive growth. 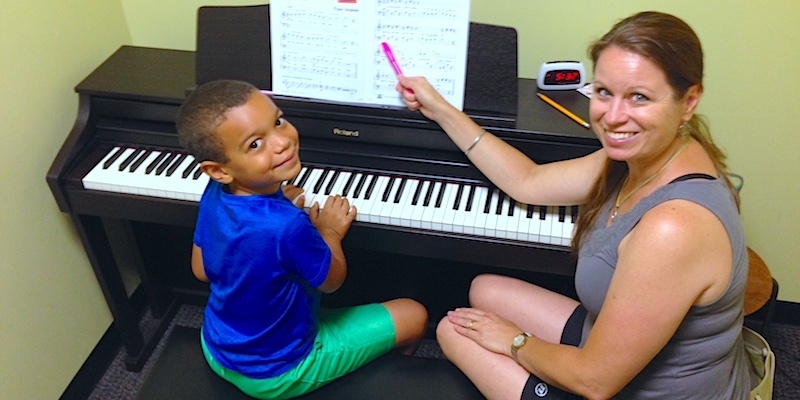 Awarding a student’s achievements is a great opportunity for musical advancement and a great incentive for a student to stay engaged in his/her weekly music lesson. 8. State-Of-The-Art Music Facilities and Equipment. Each of our 10 teaching rooms is equipped with everything necessary for lessons. We have full size Roland digital pianos with weighted keys and touch sensitivity, guitar amps, and two pro Roland drum set in our practice rooms and high level pro acoustic DW drum set on our stage. Our room size is comfortable and not a closet space and we are proud to say it is a very happy place to take lessons. 9. The Best and Most Progressive Rock Band Program in Texas! Participating in a Rock Band gives “purpose to the practice” for our students. 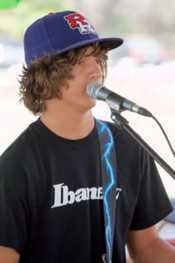 We continually see our students practice hard in order to be prepared for rock bank concerts. 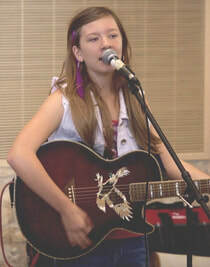 Students learn several current and classic rock songs throughout the school year. We are also the only music school that offers several concerts for band students to participate in throughout the school year, including two rockin’ performances in our Performance Center several outside concerts. We generally hold anywhere from 4 to 10 concerts a year and we are still growing and adding. Practicing and learning with your friends is great fun and every year we have seen our band members gain confidence and become tight as a band . We see our students bring their “A” game to the concerts. They rock hard and they love dressing the part. It’s a great team effort. Our bands are formed by age, skill level and a student’s musical preference. 10. In-House Programs and Classes Designed to Students to the Next Level. 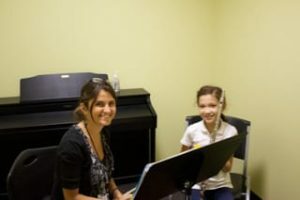 At Premier Music Academy, we take a sincere interest in every student’s unique goals – allowing each individual to grow into the musician they want to be. Whether you want to be a rock star, pop star, classical virtuoso, blues or jazz musician, or songwriter we will work individually with you to help you achieve your own unique goals. 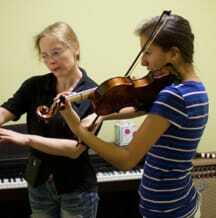 We offer a wide variety of private lessons on many different instruments. 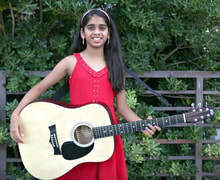 ​Come join us for a very fun musical journey! 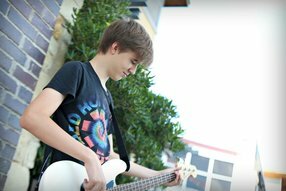 Offering quality piano, guitar, voice, drums, saxophone, cello, violin, viola, flute, trumpet, banjo, mandolin, ukulele and bass lessons in Round Rock, TX. Serving the communities of Brushy Creek, Cedar Park, Georgetown, Hutto, Pflugerville and Round Rock.